New entertainment business Xtreme Sports is planning to host an event to launch their line of corporate services, following on their launch in June 2015, which initially focused on providing services for birthday parties, summer day camps, and various other groups. After a successful start to the business, owner Marquel Waldron has chosen to move ahead with the company’s corporate line of services, with the launch event scheduled for April 9, to be held at the National Sports Centre North Field from 12.00pm to 6.00pm. The company’s website says, “Xtreme Sports is proud to present the Xtreme Sports Games, Bermuda’s newest corporate team building event. 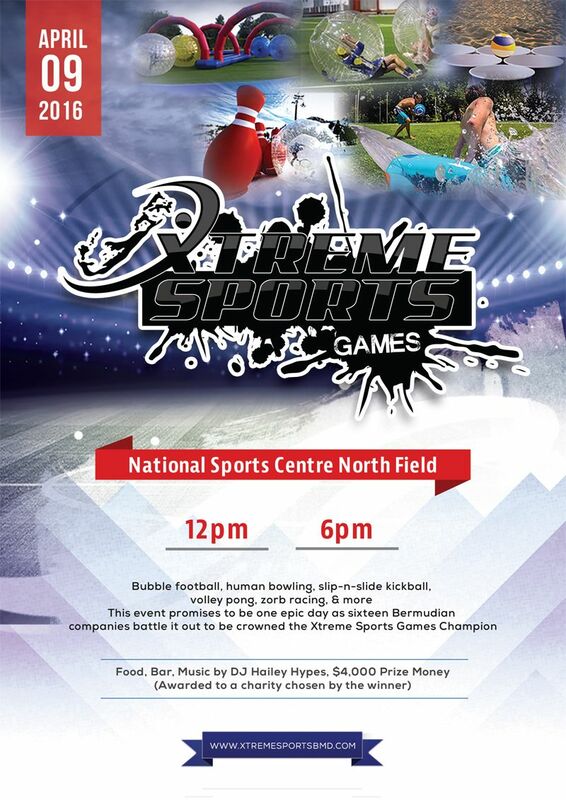 The Xtreme Sports Games will feature a fun-filled day of different companies competing against each other in various sports and activities. A spokesperson said, “The idea behind the event is to provide the Bermudian community with something new and exciting to look forward to, as well as showcase what Xtreme Sports has to offer in terms of product and services. Owner Marquel Waldron is quite optimistic about the event and hopes that Bermudian companies rally behind the event, which promises to special. “In Waldron’s view, the importance of corporate team building and striking a good work-life balance can’t be stressed enough, and the Xtreme Sports Games is a perfect example of both. The company has also released a brochure outlining the importance of corporate team building, which says, “It’s no secret that years of research has suggested that a cohesive team of employees might be vital to a company’s success. Due to the fact that teamwork is so critical to a company’s success, team building activities are imperative. For more information, to register a team, or to become a sponsor, visit the website.